Fancy the idea of some nature and serenity? 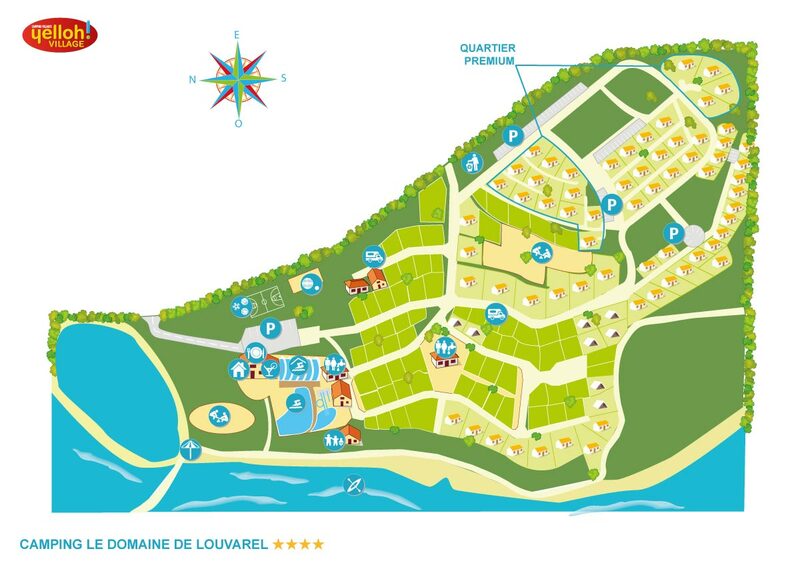 Then the camping Le Domaine de Louvarel is just for you! Here, you'll be able to get some therapy consisting of fresh air and greenery, in the landscapes of Burgundy and the deep valleys of the Jura. This campsite, full of plants, will take you into a whole world of nature and vegetation. There's also a lake alongside the campsite, perfect for bathing, fishing and walks. The Yelloh! Village Le Domaine de Louvarel has a great many things to draw you, so you really will love your camping holiday in Burgundy! A new balneotherapy pool, waterslides and an aquatic playground. Great camp site, lovely staff and well kept site. Burgundy is a land of nature and heritage, and a place that will totally win your heart during your holidays at the camping Le Domaine de Louvarel. Here, you are in a region that has been forged through the centuries: enjoy a walk through the little streets in the mediaeval town centres of Chalon or Mâcon, or come and see Cluny monastery, which will make for a real journey back in time. Burgundy is also a place in which way of life and a taste for the good things in life take precedence: there are so many good wines here, whether you're on the route des vins (wine trails) of the Jura or of the Maconnais! Make the most of your campsite stay in Champagnat by visiting the market at Louhans and trying some delicious local produce, including Epoisses cheese and Bresse poultry. Your taste buds will also be enjoying the journey and exotic new things! Visiting Burgundy also means falling for the delights of its countryside. From your campsite in Mâcon, all sorts of hiking routes await you. You could set off to explore the waterfalls and lakes of the Jura, walk along a section of St James' Way or sail along the rivers. You'll be able to enjoy nature at your own pace!